14May2013 posted by: liltiger | share this: category: Events: Past, Houston, JD, Lil Tiger, Music, NYC, Updates no comments yet. 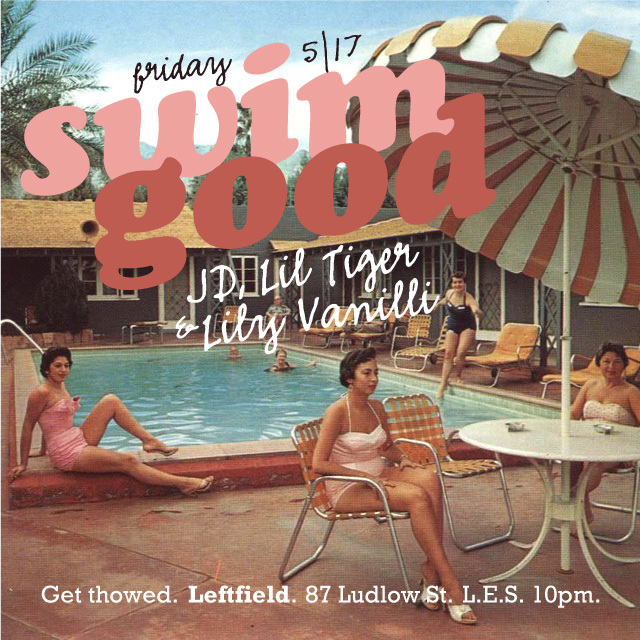 It’s time for another monthly installment of SWIM GOOD at Leftfield in the L.E.S., and this time, we’ve moved the party where it belongs: to a FRIDAY NIGHT! Put the work week behind you and come shake a load off with Texas transplants Texas transplants JD, LIL TIGER + LILY VANILLI spinning your favorite country rap tunes, New Orleans bounce, reggae and more. Tell a friend and come GET THOWED with us.